The Hutt is an extraordinary place when you think about it. An alien settlement on a far corner of the earth. Started by Colonel Edward Gibbon Wakefield, a chap not entirely free from avarice, under the guise of the New Zealand Company. A grand idea for settlement when you think about it, pushing the British Government’s hand into doing something it did not plan to do. 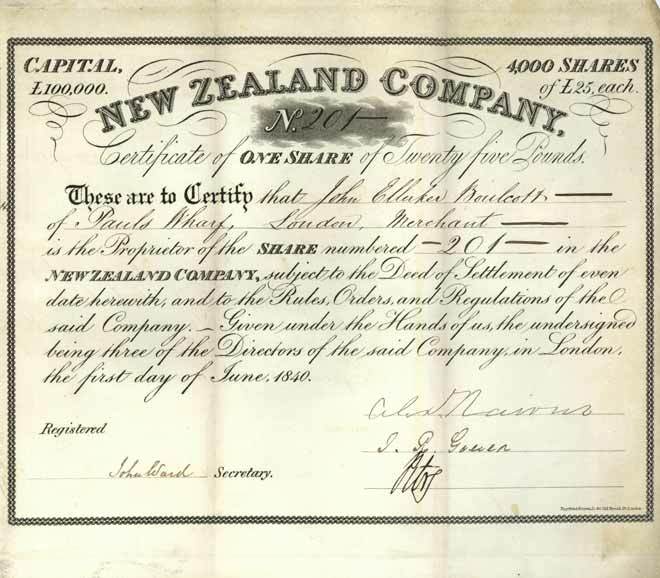 Without any real idea of what lay ahead, the New Zealand Company “proceeded at once to offer for sale by lottery in England, the right of selection amongst the lands thus anticipated to be acquired by them; and though the country was at that time almost a byword for barbarism – without law or government – and inhabited by a wild and warlike native race; and although officially warned that their proceedings could not be sanctioned by Parliament, the New Zealand Company found purchasers in England to the amount of more than £100,000. Without waiting to hear what locality’s ad been procured by their agent for the site of a settlement, or whether, indeed, he had succeeded in making the purchase of a single acre of land, it sent out several ships filled with emigrants to be located on that spot, wherever it might be, which on their arrival in the country, they might find to have been procured for that purpose.” (Swainson, New Zealand, p74). When the New Zealand Company sailed into the grand harbour of the Eye of the Fish of Maui, the ship was the Tory, the captain was Mr Chaffers (previously of the Beagle – that’s how close we are to Darwin). The pilot for the entry into the channel, was good old Dicky Barrett – a whaler – and on 20th September 1839, they sailed in to Pito-one, or End of the Sand, accompanied by two local rangatira, Te Puni and Wharepouri. These names echo through our history. And a dozen sticks of sealing wax. On an architectural note, the original church in Taita has a couple of flying buttresses on the outside. 60 – external buttresses are quite a common feature of churches in the Early English gothic style – not just in Taita, but many other small churches. I’m guessing there would be a bit of lateral spread on those side walls, without the benefit of internal partitions…. Only otherwise achievable by internal ceiling tie-rods or external buttresses. I thought it was interesting that in your previous thread Pauline Swann lamented the placement of the Blumhardt ceramics collection at the Dowse Art Museum as somehow a loss to Wellington. I don’t have much trouble seeing Lower Hutt (and Porirua for that matter) as part of a still pretty compact Greater Wellington. Interesting to read about the Hutt here, Maximus, as I’ve been doing a bit of exploration of the Hutt Valley myself. I was very disappointed to hear that the Hutt City Council is going to demolish the Town Hall and Horticultural Hall and replace them with a conference centre, rather than spend $6.3m on earthquake strengthening – to my mind, that cluster of 1950s council buildings is one of the more interesting and attractive parts of the Hutt. A stark contrast with the $43m Wellington City Council is spending on earthquake strengthening its town hall. Carringtonia – that’s what I set out to write about yesterday, and where I hope to actually end up – but I got sidetracked by events historic, as you do…..
Glad to hear that, I’ll be interested to read your take on this. Easy to get side-tracked though, there’s some interesting history in the Hutt. Reading your post, I remembered that Errol Braithwaite, in his 1970 ‘Companion Guide to New Zealand’ described the goods that European settlers exchanged for land in Wellington as ‘pitiful bric-a-brac’, which I rather like. I also think its a bit weird that the europeans seemed happy to live temporarily in a “whare”, in what I would have thought would be seen as primitive accomodation. Why not a tent? Sav – I’m not 100% sure, but I think that a lot of the passengers were rather unprepared for living here, having believed the illustrations of the NZ Company. Some of the illustrations gave the impression that things were already going on in NZ, whereas in reality the land had not even been purchased, let alone roads laid out and houses built. Many did bring tents out – but you know what Wellington weather is like – and tents can be pretty horrible in our weather. On the other hand, hire a few of the native lads for a few days, and they’d build you something with a nice wind proof and waterproof raupo roof. I’m sure there were some people who were pretty horrified at the conditions – on the other hand, sod walls and thatched roofs were still common dwelling types (out of London). Whoops, have only just now clicked on that link, and yes, it says more or less what I just noted above. What it doesn’t note, and what I only found out when researching this, is that Wakefield had always intended the city to be at Wellington, and not at Petone / the Hutt. But he wasn’t on board the ship – he was left behind in England to drum up some more business – and it was his nephew, another Wakefield, who sailed into town. It was therefore his nephew who decided to ignore orders, and ignore Wellington, and to go and have a crack at this Pito-one place instead. Evidently, over the few months noted above, and seeing as the deed of purchase made with the chief Te Puni included both ends of the harbour, then people began to dribble across, just a few at first, and then the whole town. John H – i certainly don’t disagree that Lower Hutt is taking awards on the Ugliest City front, but i believe this is coming at the behest of the council “being too scared to say No.” It’s quite a simple word, one of the smallest in the English language, and they should practice it more often. But small councils (and this reveals the Hutt’s essentially parochial nature) feel that if someone comes to them and says “I wanna build here, but only on the provision that I get to do what I want”, then all they can do is roll over and say Yes. Hutt City: Just Say No. I didn’t know about that Methodist Church, thanks John for highlighting it. It’s decisions like that, that end up eroding a city literally without you knowing it. I’ve never known that site to be anything other than a blank commercial building, but now I know different, I feel like something has been taken from me. I don’t know how anyone could think its okay to shaft the city for short-term profit and why we haven’t got proper regulations to stop long-term damage to a place is beyond me. Re: historic Hutt, have a butchers at this. Just checked out the Methodist Church – what a shame.A bit of urban greenery by the looks of it too.